8 Moving out and moving into a new home can be a real adventure. You have just taken the great and certainly not so easy decision to move out from your current home. Relocation is a big step. It is related not only to moving furniture, but changing your environment and way of life. Everyone who has experienced that knows it is not as easy as it seems. There are many questions and different thoughts which can haunt you before the removal. First of all, you should make up your mind “where and why there” – as people always ask. Clear your mind and decide where your future home is and why. Do some research of the neighbourhood to find out if it is a nice place for living. You should also consider distance as a very important part of our daily life. How far is your workplace? How about the nearest hospital or is there any pharmacy nearby? Once you pick the place, almost everything else seems easy. The doubt is huge – which ones of your items are useful and what should you mark as “rubbish”? If you have no idea where to start from, just make a moving checklist. This will be very helpful for you in order to divide things and furniture in two simple categories – “throw away” and “take away”. Are you really sure you can cope with that? How many things can you move with your own car? Small objects can be easily gathered, placed in boxes and transported. But it is not so easy when your need to load and move furniture such as sofas, beds, chairs and so on. For sure, you will forego the idea of doing it on your own. It is almost a hundred percent sure that this will be your next though. When you see that you will not be able to do it alone, you will start thinking of that opportunity. It’s a nice idea because you get both a mover and a van for transporting your stuff. If you think that one person will not be able to cope with the removal, you have the option to hire more than one mover. This is quite a dilemma, right? Should you try man and van hire or you should use special removal services. There are many companies which are just waiting for you to contact them. It is preferable to find such a moving company, because it will save you both time and worries. Nowadays, you can use the Internet for almost every query. You can search the web and choose the cheapest removal company to do it for you. Most of these companies offer full service – they have their trucks, movers and a lot of experience. Of course, the cheapest option is not always the best choice. Sometimes it could mean a broken lamp, scratched furniture, damaged electronics, a missing pillow, etc. This is an inherent risk of cheaper services. Low-cost offers for removal services have their pros and cons and you should be prepared for any scenario. 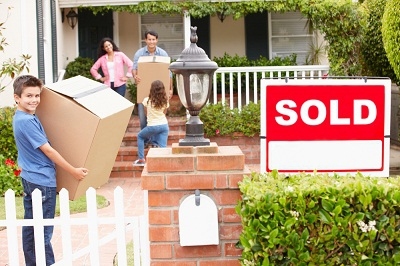 Once you decide to move, you should not try to save money on security and reliable service. Don’t worry! Situations like that in the movie “My fake fiancé” do not happen in real life. Yes, there is always the possibility of some things and luggage going missing, but most of the removal companies have guarantees and insurance policies for such kinds of accidents. Be sure that if you pack your items well and make a moving checklist, there won’t be any surprises. Moving out and moving into a new home can be a real adventure. Enjoy it to the fullest without letting heavy thoughts spoil your experience!